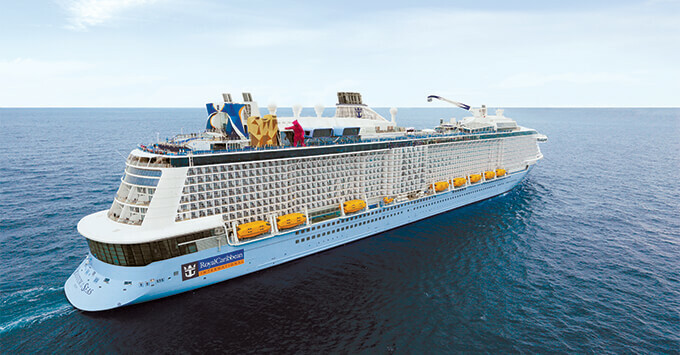 (11:15 a.m. EDT) -- When Quantum of the Seas debuted in 2014, the 4,180-passenger megaship -- the first of Royal Caribbean's Quantum class -- arrived as a game-changer. Now-copied features such as the Bionic Bar, the North Star, the SeaPlex and iFly skydiving simulator were all new. Loyal to Royal cruisers couldn't wait to make Quantum their next favorite ship. 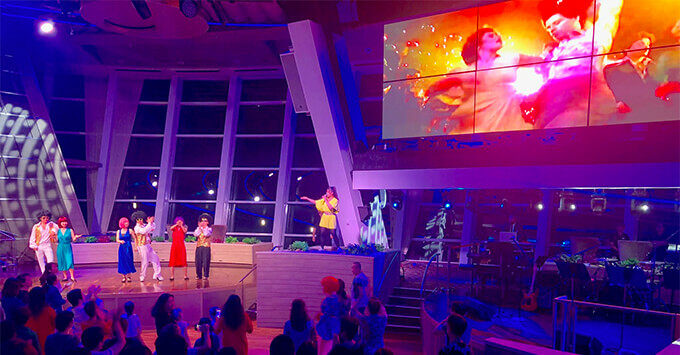 But very soon after the ship launched, Royal Caribbean whisked it away to Shanghai, to introduce the growing Chinese cruise market to what a state-of-the-art megaship can be. For the past few years, Quantum of the Seas has sailed primarily short four- and five-night cruises between China and Japan, interspersed with a few longer itineraries. Unlike other Chinese-passenger-oriented megaships that have been based in Shanghai, such as Majestic Princess and Norwegian Joy, Quantum does take reservations from international passengers, allowing all nationalities to sail. If you're looking to experience Quantum of the Seas in its current Asian habitat (or Spectrum of the Seas, which takes over the Shanghai homeport next year), there's a few things to keep in mind. First, some radical changes were introduced to the ship, particularly in dining, itineraries and programming, to please Chinese cruisers. Second, you should feel OK about standing out; while some itineraries have more English-speakers than others, you'll definitely be in the minority (people will want to take your picture). And finally, the Chinese have varying preferences and habits than Westerners, so expect your cruise on Quantum to be quite different than anything you've experienced elsewhere. We're just back from a four-night cruise on Quantum between Shanghai and Kagoshima, Japan. Read on for some of our tips to see if sailing on an immersive China-based ship is right for you. The longer the cruise, the more likely you'll have more English-speakers onboard and therefore more English-language onboard activities and excursions available. On our four-night sailing, for example, Westerners were almost nowhere to be seen, whereas the week-long cruise before ours drew 2,000 English speakers, primarily from Australia. These longer Japanese itineraries are more apt to visit major cities in Japan, such as Kyoto and Tokyo, as opposed to lesser-known ports such as Okinawa and Kagoshima. Chinese receive little vacation -- about five days a year if you work for the government or a national company -- and choose short cruise itineraries so they can spend time with family without using it all at once. 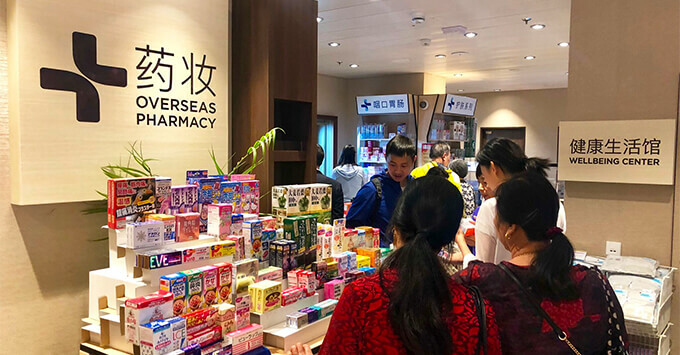 They also travel to Japan to take advantage of duty-free shopping, and we saw many buses of independent Chinese tour groups heading away from the dock toward malls. There are some unavoidable headaches that come from taking a cruise ship out of China. Embarkation, for one, is a longer process, as China requires more paperwork to leave the country than cruisers might be used to. If you have status with Royal Caribbean, look for those queues, as well as English-speakers who can help you; once we found the right people (or rather, they found us), we were brought to the front of the line. 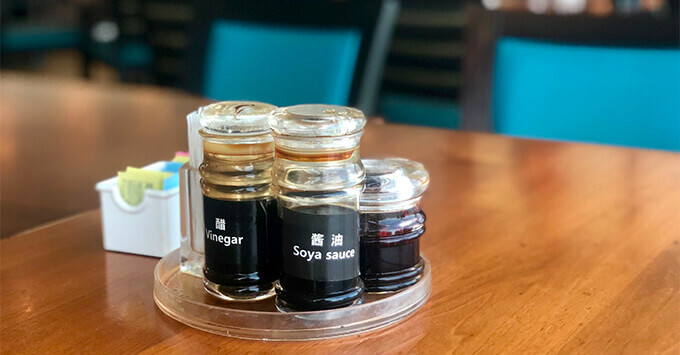 The move to China necessitated major dining changes that might make the ship less attractive to the more traditional Royal Caribbean cruiser. Johnny Rockets, for example, has been converted to Kung Fu Panda noodle house. Wonderland has morphed into a culinary playground for Da Dong, a Michelin-award-winning Beijing chef; the restaurant serves a nine-course seafood-heavy tasting menu. Michael's has become the Harp & the Horn, serving Chinese bar food, the star of which is a whole grilled fish (and if you do order the burger, they will only make it well done). The main dining rooms feature Western food on some nights, but not necessarily every night. And while Windjammer remains a buffet with some international selections, it's primarily a Chinese experience with congee stations at breakfast, noodles galore at lunch and few Western selections. If you don't like Asian food, you would be very disappointed on this ship. Many of the activities we love on cruises, such as name-that-tune trivia or game shows, weren't available on our sailing, simply because there weren't enough English speakers. Our excursion to the Shakurajima volcano was also canceled (we ended up going alone). Some of the ship's coolest features that are free on other Royal Caribbean ships, such as the North Star and iFly by Ripcord skydiving simulator, carry a fee here. The Broadway musical Mamma Mia was pushed out for Sequins and Feathers, a retro Las Vegas-style revue. That being said, the technology and design that made Quantum of the Seas so innovative are still onboard. Voom remains some of the fastest internet at sea you can find. The robot bartenders still sling drinks at the Bionic Bar. The artwork in the public spaces still dazzles. Shows at Two70 are still awe-inspiring; we loved Starwater, which has been a favorite since the ship debuted. (We were also the only ones in the space enthusiastically cheering Santa Fe and the Big Horn Band as they virtually performed American funk songs on a different night). Dance favorites from the Black Eyed Peas and Rihanna still pack the younger crowd into Music Hall. The Sonic Odyssey show is mind-blowing. It's possible -- and indeed probable -- to have a great time on Quantum of the Seas even if you don't speak Chinese. Western habits, such as sunbathing and late dining, are not common in China so you'll have the outdoor pool and whirlpools to yourself all day and many restaurants too, if you dine after 7 p.m. The bars were also empty, while the shops stayed open late; if you avoid the scrums forming around sales on the Royal Promenade, you'd think you were on a ship by yourself. And the crew remains as outstanding as ever -- everywhere we went, we were greeted by happy hellos and special touches. We felt that many of the negative comments we had read about Chinese passenger behavior were overstated. Sure, elevators can get packed, and you might witness loud arguments with staff. But Royal Caribbean has taken steps to ensure order, from placing queue barriers at popular stations in Windjammer to steering passengers directly to sinks to wash their hands before meals. The crew are also firm in directing people where to sit at shows and where to stand at the shops. Smoking outside designated areas and spitting are discouraged (and we didn't see any of the latter). While we didn't mix with that many Chinese on our short cruise, we did have fun at the 70s theme party Groovy Town, teaching the people next to us how to do the YMCA. We're sure we ended up in quite a few selfies and photos! Quantum will leave Shanghai temporarily in 2019 and 2020 for Singapore, where it will sail seasonally on short cruises to Thailand and Malaysia, as well as longer seven-night cruises elsewhere in southeast Asia. Before then, Quantum will undergo a refurb that will likely add back in some of the features that appeal to the more international audience that Singapore is likely to draw. While nothing has been announced, we predict that some of the more specifically Chinese features that we experienced on Quantum may go away (and that others will be added for Indian passengers, who are expected to use Singapore as a base). 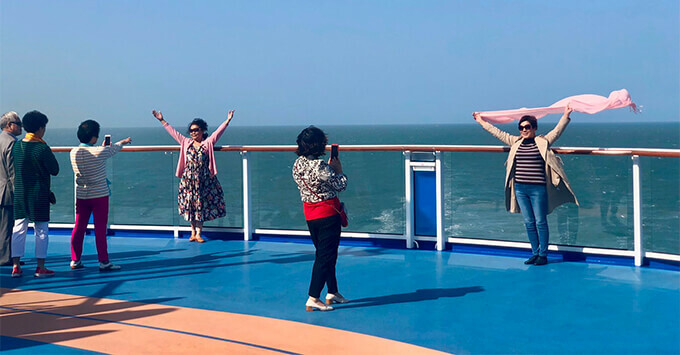 We had a fun time on our short cruise out of China, but we strongly suggest that English-speakers skip the short sailings and stick to itineraries of a week or longer to have more activity and excursion choices. The ship's hotel director notes that anyone sailing on Quantum -- and Spectrum, when it arrives -- should be prepared for an immersive Chinese experience when it comes to dining and programming. Should you choose to sail, pack an open and flexible attitude.